The elder Keynes argues that almost every problem connected with the scope and method of political economy has given rise to conflict of opinion. The resulting controversies have sometimes been bitter. Those readers, who already have any acquaintance with the literature of economic method should be prepared to find that several of the chapters are controversial in character. At the same time, Keynes avoids the tone of a partisan and represents both sides of the argument without prejudice.While making no attempt to bring about a complete reconciliation between opposing views, Keynes shows the nature of the opposition between them has sometimes been misunderstood, and its extent consequently exaggerated. 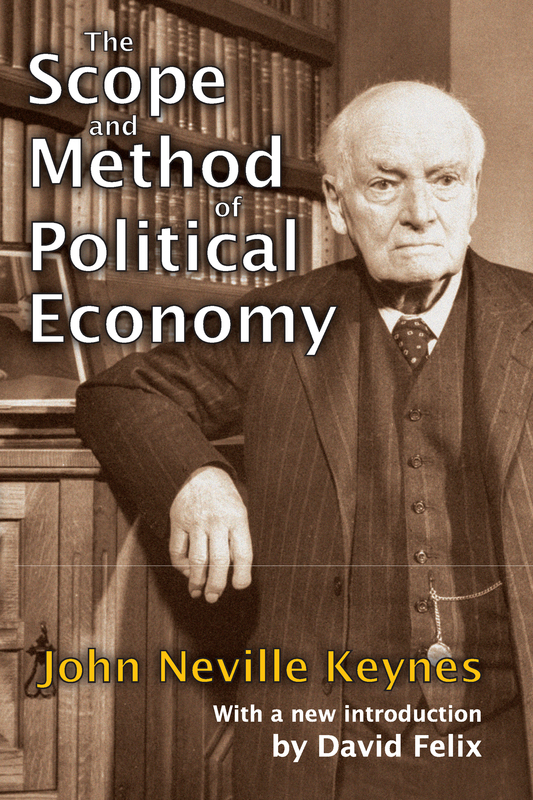 Since the scope and method of a science can never be satisfactorily discussed at the commencement of its study, some knowledge of political economy in its general outlines is assumed.The nature of the topics discussed in this classic is indicated in the introductory chapter. The abstract discussion of methods is one to which students of economics must necessarily give attention in the course of their reading, and its indirect bearing on the solution of practical economic questions is very close in contemporary importance in today's society. On the Method of Specific Experience in Political Economy. On the Deductive Method in Political Economy. On Symbolical and Diagrammatic Methods in Political Economy. On Political Economy and Economic History. On Political Economy and Statistics.